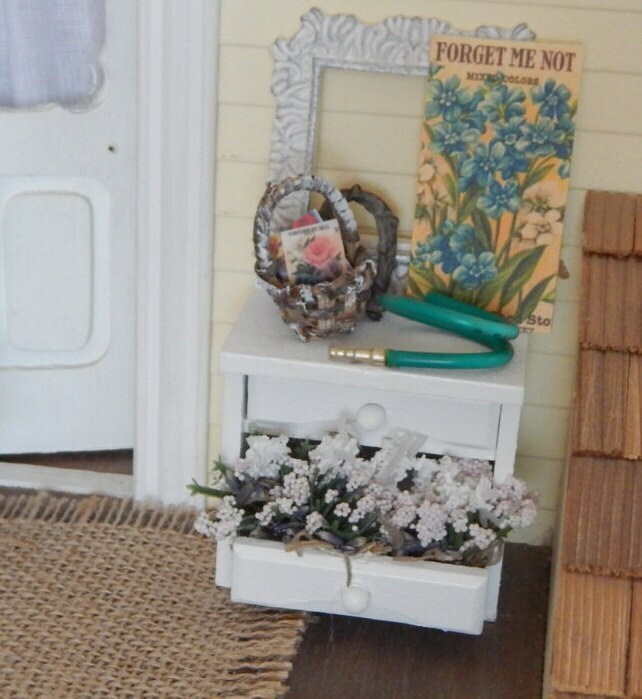 I love old pieces of furniture that are repurposed for the back or front porch. I have old hutches filled with pots of flowers. And I have a very old chest of drawers that I've lined the drawers with plastic and I've planted seasonal flowers in them. At Christmas I put little Christmas trees in the drawers and tiny lights. I love it every time I look at it! I have tried to recreate this look in miniature and i just love it! 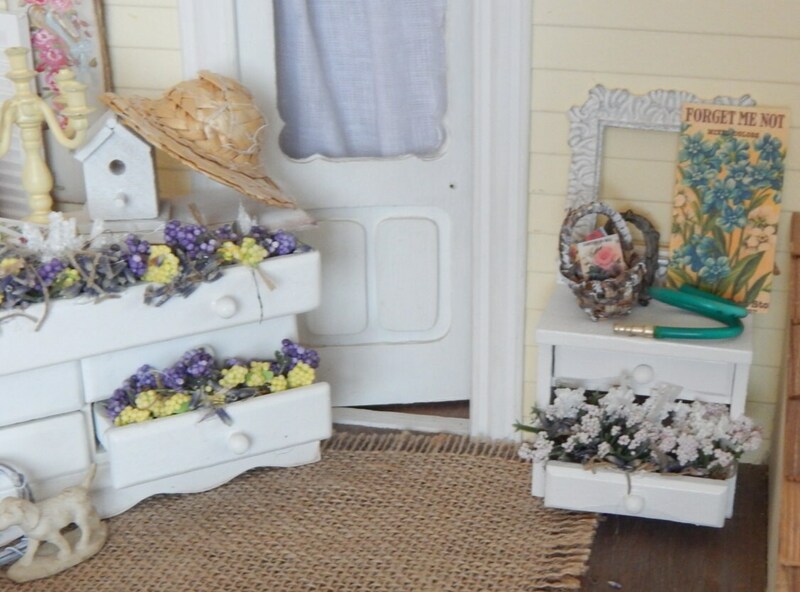 This small chest of drawers has been filled with spanish moss, silk flowers and real lavender seeds. 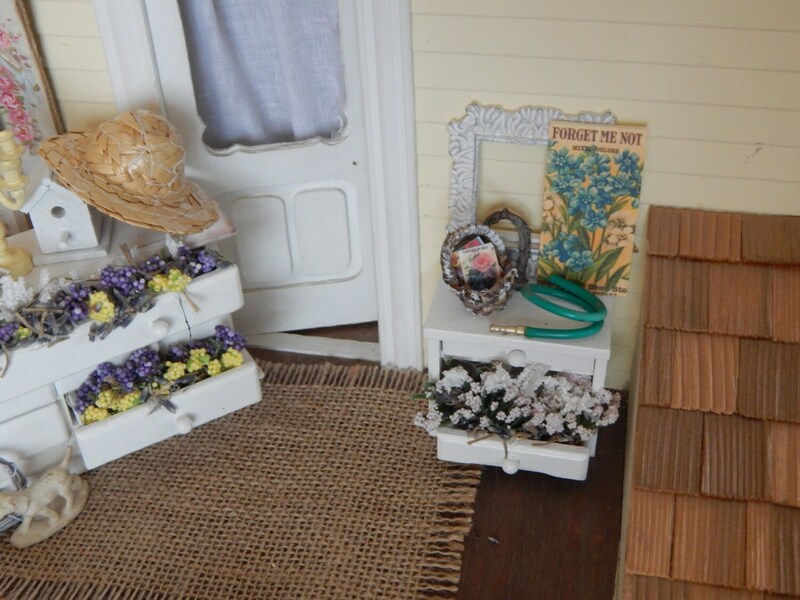 On the top there is a basket filled with little garden goodies. Seed packets, a hose, and an old Shabby frame and a garden flower graphic. Only the drawer and flowers are glued in place. Other items are loose for rearranging. 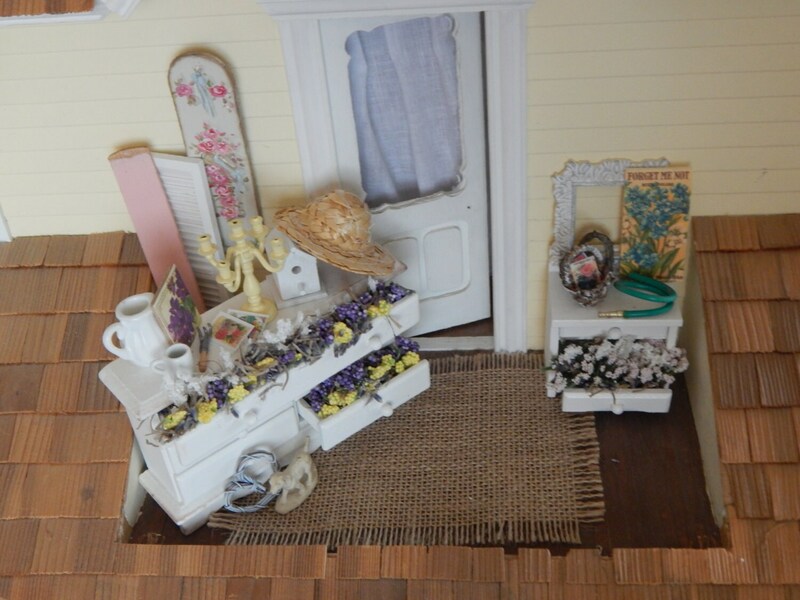 Small chest of drawers is made by a furniture manufacturer for dollhouse furniture. I do not make furniture. I paint, hot glue and sew!